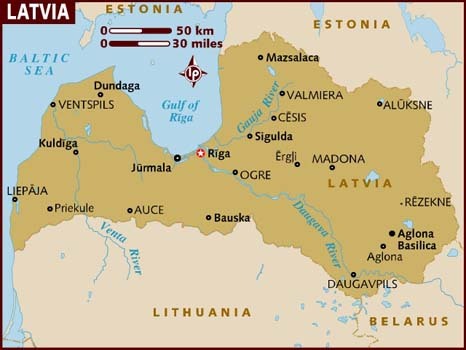 Latvia is situated in the North of Europe – on the shores of the Baltic Sea. 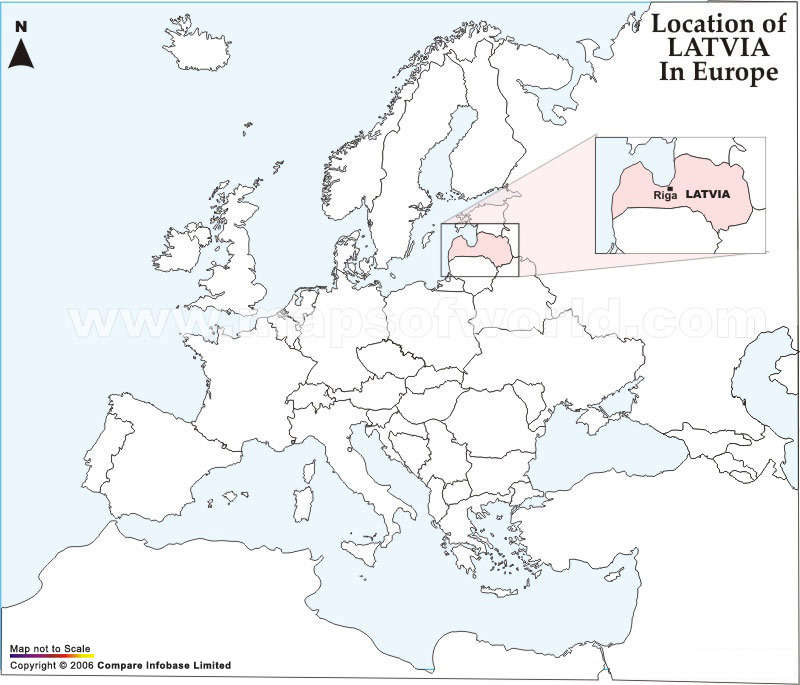 Besides the sea, the country also borders Lithuania, Belarus, Russia and Estonia. Its capital city Riga is a modern metropolis, in which historical architecture, unique in Europe, alternates with the modern touch. 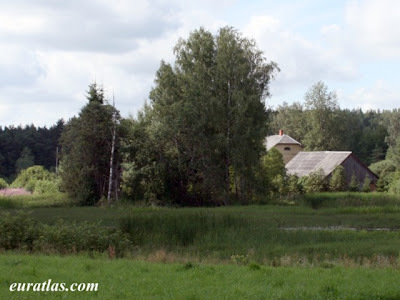 In addition to Riga there are 6 other UNESCO world heritage listed sites in Latvia. 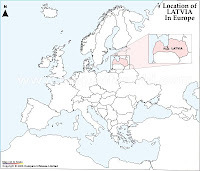 Since ancient times Latvia has been at the cross-roads between East and West, North and South. Therefore, it is a multi-cultured state, where the traditions of all these countries have merged, creating a unique environment. Latvia offers unspoilt nature (500 km long sandy beaches – the Jurmala resort is the most famous - and 45% of the territory covered by natural forests, offering various recreational possibilities), as well as a diversity of historical, culture and architectural sites. Amber is one of the most common souvenirs that tourists take from Latvia. Latvia is made unique by its two different worlds – the European metropolis Riga and the rest of Latvia – a rural, green environment and tranquil historical towns, where medieval hanseatic foundations support baroque and art nouveau buildings that become venues for cultural festivals during the summer. Like most former republics of the USSR, Latvia suffers the negative environmental legacy of decades of ecological and environmental mismanagement. Soviet economic policies favored the rapid buildup of heavy industries, which generated more pollution. The Soviet government never implemented emission-control technologies, and industrial pollution continues to be a problem due to the high cost of upgrading or replacing existing technologies and facilities. Air and water pollution are among Latvia's most significant environmental concerns and are largely related to a lack of waste treatment facilities. Cars and other vehicles account for 70% of the country's air pollution. Resulting acid rain has contributed to the degradation of forests. Air pollution in Latvia is particularly heavy during windless, cloudy weather. The main air pollutants are sulfur dioxide, ammonia, phenols, formaldehyde, and nitrogen oxides. Industrial, agricultural, and municipal enterprises have produced dangerous levels of water pollution. This is especially severe in the Daugava River and the Gulf of Riga because of the outflow of untreated wastewater at Riga, which lacks an adequate sewage treatment plant, and industrial discharge from factories along the Daugava and its tributaries. Moreover, chemicals and petroleum products at military bases have contaminated soil and groundwater. In addition, the extraction of peat continues to damage wildlife habitats. One hundred twelve plant species, 20 types of lichen, and 32 types of mushrooms are endangered. Four mammal species and six bird species are also threatened. Threatened animal species include the marsh snail and the Russian desman. In Latvia one of the most dangerous consequences that may take place as a result of climate change is the increase of sea level in the coastal areas and consequently, overflowing and wash-off of the coastal zones. Climate change is expected to result in an increased threat to coastal areas of severe storms that cause temporary sea level rises of 1.7m-2m or higher. Other expected impacts include changes in precipitation, temperature, river run-off and snow cover, vegetation period, and change of flora and fauna. During the Russian occupation the sphere of civil society was strictly regulated and the existing organizations were controlled by the authorities. As a result, the public space developed outside the state's domain. Families, friends and networks placed themselves outside of the realm and often in opposition to the socialist state. In 2004, a study on the development of civil society in Latvia pointed out that specific leaders are very important for the organized civil society. The leaders take the initiative, they have the power of persuasion and are highly involved in public issues. The people still prefer to listen to authority figures. This comes in addition with personality traits like "inertia, unwillingness, close-mindedness, introversion." Such attitudes were complemented by negative experiences, which let them think participation is only a waste of time. They are also linked with the inherited Soviet tendency to rely on others and leads to the development of a "consumer mentality" by city inhabitants. This leads to one of the main problems the society has to deal with until today, the negative view towards the functioning of democracy. Another issue is the exclusion of the big group of Russian speaking non-citizens in the Latvian society. There are also more concrete problems blocking the road forwards to more citizens' participation. The most important reason is the economic situation: the level of income is low, especially for rural residents. People are busy making a living and do not have time to engage themselves for free. The research showed a general attitude that quite a lot of "people do not believe that it is worth doing anything unless it brings a profit." Furthermore they do not believe that they can achieve a success only with social commitment and without money. A lack of information about NGOs was also identified. However, the information gap is closing. To conclude, NGOs in Latvia are rather weak in terms of membership and financial resources and capacities. Due to the lack of resources the administrative capacity of NGOs is also rather weak. According to OECD there are about 18 environmental taxes in Latvia, among which 3 regard fuel and vehicles, 2 regard air pollution, 5 regard water, 4 regard waste, while the remaining 4 refer to use of resources and pollution charges (for radioactive, ozone depleting and environmentally harmful substances). There are also some other environmentally-focused instruments with the purpose to: enhance the development of packaging management system, minimise packaging waste and minimise waste, thus reducing environmental pollution and contributing to rational use of natural resources. In comparison with the previous years, in 2009 the revenue from environmental taxes grew up and was 2.3 % of GDP. This is mostly related to the increase of the transport fuel taxes. According to a study on the topic, CSR in Latvia is a relatively important PR issue for financial services companies and large companies. Small companies seem to associate socially responsible activities primarily with respect for the environment. Very large companies tend to associate the concept of social responsibility with the correction of social inequalities more than the other companies. Over the past years, 60 percent of Latvian companies engaged in environmental projects. Of those that engage in environmental projects, more than half engage in projects linked to the company’s operations (internal), 14 percent engage in projects not linked to the company’s operations (external) and 33 percent supported both kinds of projects. Very large companies seem to engage relatively more than the others both in internal projects and in external projects. In order to implement their environmental projects, most companies collaborate with a number of institutions that can be categorized as: other businesses; municipal institutions; CSOs; governmental institutions; and community institutions. Activities providing education and information on environmental issues (for example, school programs, community meetings, internal training, etc.) are not very popular in Latvia. The companies that develop these activities address them primarily to their employees, and secondarily to management, local communities, and company owners. Recycling programs are not very widespread. Only a third of respondents have one in place. A large majority of Latvian companies have no environmental certification. Environmental impact assessments (EIAs) of operations are relatively widespread in Latvia, and are conducted by 48 percent of respondent companies.